Trendy Home Decor for LESS than a bag of chips! 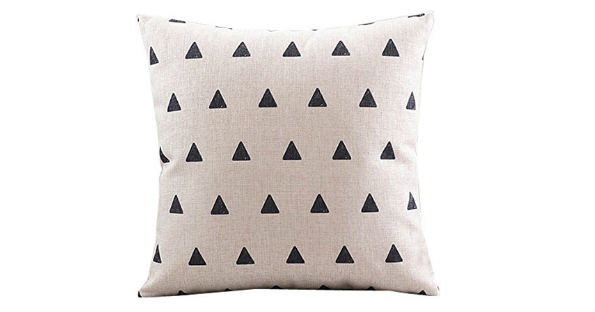 Amazon has a Super Cute Treo Triangle Throw Pillow Cover on Sale for $1.75 + Free Shipping for everyone, no minimum. This pillow cover fits over most standard size sofa pillows, has a hidden zipper closure and is machine washable. Perfect for revamping your living room style on the cheap.